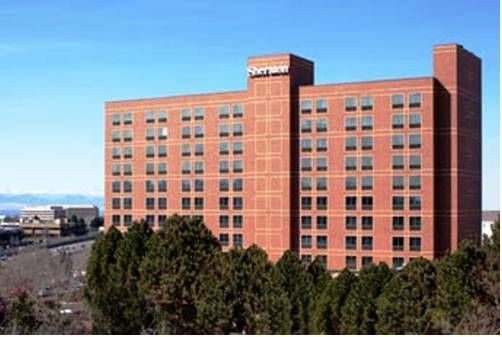 As beautiful backdrop of the Rocky Mountains and a location within close proximity to the Denver Tech Center as well as the Inverness, Meridian and the beautiful Park Meadows shopping, entertainment and dining areas makes the Sheraton Denver Tech Center Hotel a relaxed setting to mix, mingle, meet, and make memories. When it comes to selecting a hotel for your travelers, were committed to providing outstanding service and support to make their stays a success. Whether youre hosting a business conference or celebrating a milestone, our friendly staff, flexible function space and modern technology takes the stress out of planning. Redfire Restaurant: Be sure to visit Redfire Restaurant, a full-service restaurant featuring Starbucks coffee and a wide variety of entrees guaranteed to satisfy the hungriest of appetites.